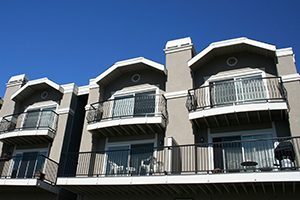 The Missouri Court of Appeals recently addressed a condominium declaration’s provision that purportedly obligated a successor-in-interest to a unit to remain liable for the prior owner’s unpaid condominium assessments. In that case, the condominium association appealed the trial court’s decision, finding that a bank was not liable for the prior owner’s assessment obligations arising prior to foreclosure. First National Bank of Dietrich (“Bank”) made loans to owners of eight condominiums in Pointe Royale and secured such loans with recorded deeds of trust on each of the units. After various assessments went unpaid, the Pointe Royale Property Owners’ Association filed liens against those condominium units. After default on the loans, the Bank purchased the units at a foreclosure sale. However, Pointe Royale refused to release any liens unless the Bank paid both the prior assessments and all assessments levied after the Bank became the new owner. The Bank willingly paid the “new assessments,” but steadfastly refused to pay the prior assessments. Based upon the above-quoted declaration provision, the condominium association maintained that the covenants obligated the Bank, as “successor in title,” to pay the prior assessments, as well as Pointe Royale’s attorneys’ fees, in both collecting those fees and defending the declaratory judgment action brought by the Bank. Pointe Royale argued on appeal that prior Section 488.3-116.2(2) and 488.3-116.7 of the Missouri Revised Statutes did not apply to it because that statute applies only to associations that consist exclusively of condominium unit owners and because the statute addresses only the priority of liens but does not extinguish the underlying obligation to pay assessments. The trial court, and the court of appeals, found otherwise.